The Book of Negroes | TV, eh? Clement Virgo (The Book of Negroes), Russ Cochrane (Orphan Black) and Amanda Walsh (Schitt’s Creek) were among the winners recognized at the 2016 Writers Guild of Canada Screenwriting Awards on Monday night in Toronto. Hosted by Elvira Kurt, the WGC event—delivered to a packed Koerner Hall—also celebrated the 25th anniversary of the WGC, which broke away from ACTRA in 1991 to become a guild of independently congregated writers. “I want to thank all of my fellow finalists, and to all female screenwriters for telling their stories because you inspired me to tell my story,” Walsh said upon winning the TV Comedy category for her Schitt’s Creek script “The Cabin.” Orphan Black writer and co-executive producer Aubrey Nealon accepted Cochrane’s award for Season 3’s “Newer Elements of Our Defense,” while Virgo and The Book of Negroes author Lawrence Hill (pictured above) were on hand to accept the trophy for writing in a Movie of the Week or Miniseries. Clive Endersby received the Alex Barris Mentorship Award, Penny Gummerson the Sondra Kelly Award, Peter Mohan the Writers Block Award and Frank van Keeken the Showrunner Award, who stunned the crowd by announcing he’d been ousted as showrunner on The Next Step and Lost & Found Music Studios. Canadian author Lawrence Hill’s The Illegal will become an eight-part TV miniseries, following the path of his earlier work, The Book of Negroes. CBC has teamed up with Toronto-based production company Conquering Lion Pictures to develop Hill’s latest novel for television. Continue reading. The WGC Screenwriting Awards recognize the talented Canadian writers whose scripts spark an entire television and film industry. 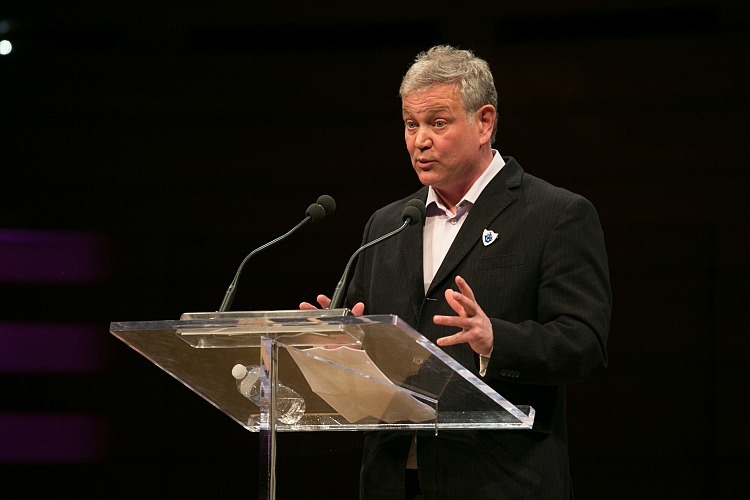 On May 2, 2016 the screenwriter is in the spotlight at the awards gala, held at the Royal Conservatory of Music’s beautiful Koerner Hall. Host Ryan Belleville brings his sharp wit to the stage in a fast-paced show co-written with This Hour Has 22 Minutes writer Jeremy Woodcock. Writers from Orphan Black, 19-2, and X Company compete for the best TV Drama Award, to name just one category. Awards will also be handed out for the winning children’s, documentary, feature film, MOW and miniseries, shorts and webseries, TV comedy, and teens and tweens scripts. Close to 150 scripts were nominated, with 24 scripts chosen as finalists, and 32 screenwriters up for awards. Awards presenters include The F Word screenwriter Elan Mastai, What Would Sal Do? showrunner Andrew De Angelis with star Dylan Taylor, powerhouse couple Sudz Sutherland and Jennifer Holness (Shoot the Messenger), Mohawk Girls showrunner Cynthia Knight, documentary writer Michael McNamara (The Cholesterol Question), and Jessie Gabe, writer of Cas & Dylan. A full slate of special awards, including the WGC Showrunner Award, the Alex Barris Mentorship Award, and the Sondra Kelly Award will also be presented. The 2016 WGC Screenwriting Awards mark the 25th anniversary of the Writers Guild of Canada. Join us Monday, May 2, 2016, at the TELUS Centre for Performance and Learning’s Koerner Hall. Schitt’s Creek and The Book of Negroes were among the winners of Night 2 of the Canadian Screen Awards. Hosted by Steve Patterson, the non-broadcast spectacle gave a nod to supporting actor and actress roles in television drama and comedy, children’s categories, and writing, directing, sound, makeup, costume in scripted series. “Welcome to Night 2! I don’t care if you laugh or boo, as long as you’re listening,” Patterson quipped. “I do believe these awards mean something. Exactly what, I don’t know because I’ve never won one.” CBC’s Schitt’s Creek—recently picked up for a third season—took home a number of awards, including those for co-stars Chris Elliott and Emily Hampshire in the performance categories and Daniel Levy for writing. The Amazing Race Canada continued its winning streak from Night 1, as host Jon Montgomery was recognized for Best Host. The Book of Negroes won a slew of trophies, including Aunjanue Ellis for Best Actress, Lyriq Bent for Best Actor and Shailyn Pierre-Dixon for Best Supporting Actress, Best Writing in a Dramatic Program or Limited Series, Best Sound, Best Original Music and Best Production Design. The Canadian Screen Awards gala airs Sunday at 8 p.m. on CBC.